A luxurious, nourishing moisturising night cream with Lactic Acid works on your skin while you sleep to provide smooth, flawless, velvety skin. A reconstructive anti-aging treatment for the most demanding skin types. Lactic Acid stimulates cell regeneration. Firms, smooths and strengthens the skin. Evens skintone, giving a fresh healthy glow. Visibly reduces the appearance of fine lines. 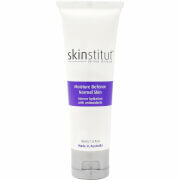 Use as a day cream on dry skin types needing extra nourishment. In the evening, apply to freshly cleansed and toned skin, gently massaging into the face, neck and decolletage. Native Common Blackthorn, Lactic Acid, Allantoin, Avocado Oil, Jojoba Oil, Vitamins A and E, Liposomes. This is hands down the best night cream I have used. It makes my skin feel super soft and hydrated, making it perfect for winter.